Australian wallabies are probably one of the cutest animals God has created, but first you should know what a wallaby is. It’s like a kangaroo but smaller and way cuter. They are nocturnal marsupials and their tail is actually longer than their bodies. The only times we have seen them where in zoos, and it costs $20 to pet them. That’s why it was hard to believe that on Magnetic Island in Australia, there were supposed to be wild Rock Wallabies that you could feed and pet for free. Deciding to check it out, we hopped on the bus and the driver told us where to get off. We went to a nearby gas station to buy some wallaby food. Excitedly, we headed down the trail to the wallabies. Sure enough, jumping from rock to rock like expert rock climbers, were wallabies. Some of them jumped right up to you to get food but some were shy and stayed away. We had to approach slowly. Sometimes we could see something squiggling inside their pouch. Once we even saw an adorable baby head sticking out. The question is though, which do you prefer, kangaroos or wallabies? It is true that kangaroos have a cooler name, although wallabies are smaller and have softer fur. I wouldn’t want to get in the way of a kangaroo because with those big feet he might kick me and who knows where I’ll land. Click here to tell me which is your favourite: kangaroos or wallabies. One of my favourite experiences on this trip has been scuba diving all over the world. All of the countries we have been to were different and unique in their own way. As you may know, in World War II there was a plethora of fighting. But not only in Europe. There was another battle going on in the South Pacific. The Japanese were trying to conquer a countless amount of Islands in the South Pacific, and American, New Zealand, and Australian forces were trying to prevent them. I’d have to say, the Solomon Islands have the largest number of ship wrecks. We dove on a hand full of ships: Japanese ships, American ships, destroyers, and supply ships. My favourite dive in the Solomons was an American aircraft, an F6F Hell Cat, from World War II. The pilot personally named it "Betsy II" because the plane he previously piloted was named "Betsy" which both were named after his wife Betty. The pilot’s name was Richard Moore. The job he was doing when the plane sank was escorting roughly fifty bombers, with the help of seventy fighter planes, to bomb an island called Ballale. The main reason that they bombed the island was because it had a Japanese air base on it. The pilot was experiencing engine problems and by engine problems I mean his oil line got shot so he headed back to base. About three miles away his engine quit. His only choice was to belly land his plane in the water. He had just enough time to climb out of the plane. Standing on the wing of the plane he grabbed his survival gear. Slowly, the plane sank, thankfully in shallow water so we could dive on it, all because of his expert belly landing skills. The funny thing is that he was shot down by an ally plane. When he got back to base, the man that was taking care of him was named Evans from the Australian army base. Just five miles away, Evans also rescued President John F. Kennedy after his patrol boat sank. But that was before he was president. Over 75 years later, submerged 30 ft under salt water, lies a World War II Hell Cat fully intact, guns and everything, for us to dive on. Well, I mean good shape for a dive wreck, but not so good shape for a plane. My favourite aspect about the dive was that we took off our Scuba gear and entered the cockpit of the plane for a once in a lifetime photo. I am “flying high” that we traveled to the Solomons. It truly was an amazing scuba diving experience. 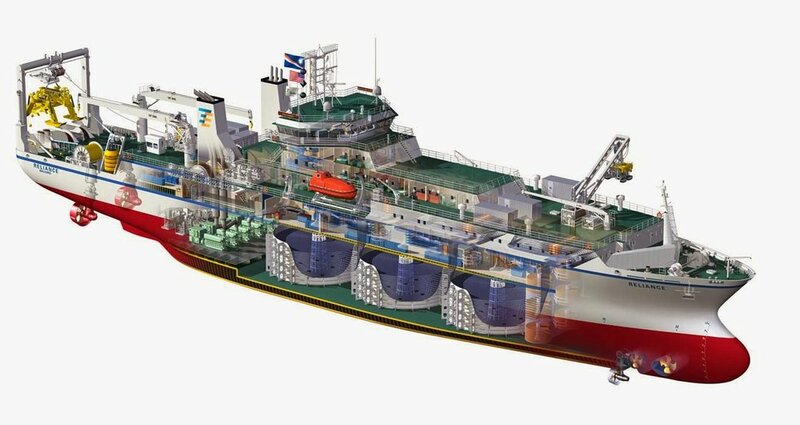 Have you ever met someone who works on a cable laying ship? Well, I have and it just so happens that the ship is in New Caledonia and so are we! The guy we met who works on the cable laying ship offered us the opportunity of a tour. When we arrived at the ship, one of the workers explained that they were leaving the next day, were quite busy, but they could just squeeze us in. The ship lays telecommunication cable at the bottom of the ocean. 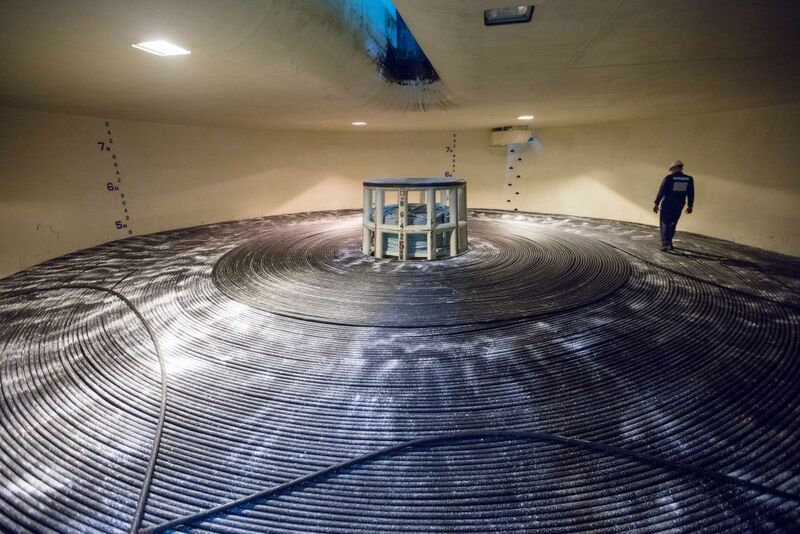 Astoundingly, 99% of all communications, including telephone, internet, and even the online video game that you play, are transferred through underwater cables. The equipment they use to haul up the cable is the same equipment used in a ski lift. They carry enough cable on board to lay across the Atlantic Ocean twice. For off-hours entertainment, there's a big room with Xbox and TVs and a gym. They have asubmersible pod that can drive on the ocean floor and propel itself through the water quickly. They also have three engines and a bow thruster - the whole propeller shaft swivels so they don't need a rudder. The crew member we met works three months on and three months off because there's no telling when a cable will break or get damaged. Sometimes in a whole year, there wouldn't be a single broken cable, but the next year there could be 12 broken cables. Maybe in a whole three months of work, all he'll do is routine checks on the system. What happens when a cable breaks? By sending signals through the lines, they locate the break, fish for the cable up to 8,000 feet deep on the ocean floor using a grappling hook. The cable is pulled up on the deck, repaired, and lowered back to the ocean floor. Click here to read more about how one single cable can have 800,000 people Skyping at a time. Now that I've given you oceans of information, it's time to draw the line! Right now we are in Luganville, Vanuatu, and dad and I wanted to go on a dive at the Coolidge which is a 730 ft military vessel named after president Coolidge. Sadly, the Coolidge sank in 1942. It was loaded with military equipment for the base in Luganville when it went through the wrong passage and ran into two friendly mines and then in the last ditch effort to save the ship he ran it aground. But instead it hit a reef, thankfully everyone got off except two people. The Coolidge is one of the main tourist attractions in Vanuatu. When we dove on the Coolidge we had to be 120 ft under water, which made it pretty dark and extremely cold. One of the highlights was actually swimming inside the ship and viewing some massive guns. Ammunition shells near the guns were 36 inches long. There were heaps of jeeps and tons of tanks and a whole whack-load of fish under water. Old gas masks were also in the ship. We got to see the remains of a 20th century bathroom. Coral was covering everything. You could definitely say the Coolidge was one of the coolest dives I've ever done. They don't call it the cool-idge for nothing. Thank you for reading this blog. It is about an island in Fiji called Fulaga. It is the nicest place I've ever been in my whole entire life. The people are so friendly. When we first got to the village we were taken to the chief's house and gave him some kava, which is a root that tastes like dirt. Then Uni, which is the name of the girl that speaks the best English in the village, showed us to our host family. Uni has one kid named Ty. He is five years old and is so cute. The mom of our host family is Repeka. She has five kids and their names are John, Dan, and Eleanor. The other two moved out and live in the main island of Fiji. Our host family fed us when we visited and entertained us. One day our host family suggested that we kids attend to their Fijian school. Truly quickly accepted the invitation, well, it was more like, "YAAAA, CAN I CAN I PLEASE!?" On the other hand, Ciara and my response was a bit less enthusiastic. Ciara decided to help with the kindergarten class because the grades were only up to grade eight. I didn't really want to attend school, but I came to drop my sisters off at school. On our way back to the boat, we stopped off at the wood carving place. (This is the hang out for all wood carvers.) As I was admiring some of their work, a lady named Salote asked me which carving I liked best. The next thing ya know you're getting a carving lesson on how to make a turtle. Mom and dad left for a couple hours while I got carving lessons. Aminio, the husband of Salote, was showing me how to make a turtle. I'm not entirely sure how to pronounce Aminio's wife's name so they told me to call them grandma and grandpa, and it stuck, so whenever I ran into her I'd greet her, "Hi grandma!" Did you know that instead of using varnish they polish the wood work with a boar's tusk? Well now you know, and don't you forget it. So if you ever come to Fiji make sure to buy some carvings. Which is the nicest place YOU have every visited?